You can quantify just about every part of your life with today’s tech, but what’s more important than getting enough rest? There are now a plethora of ways to keep an eye on the quality of your sleep as well as how much you’re getting. Whether you want to buy a separate device or just use an app. Here are some of our favourites. While we’ve not been able to play around with all of these gadgets at the Gizmodo office, you shouldn’t have to look too far on the web to find reviews from current users, which will help you make a choice. Where we had the chance to test out a device, you’ll see it mentioned it in the text. Plus, for reasons of brevity we’ve counted out smartwatches, but don’t forget the likes of the Apple Watch, the Moto 360, and just about every other model on the market that can track your snoozing as well as telling the time — provided you don’t mind going to bed each night with a watch strapped to your wrist. 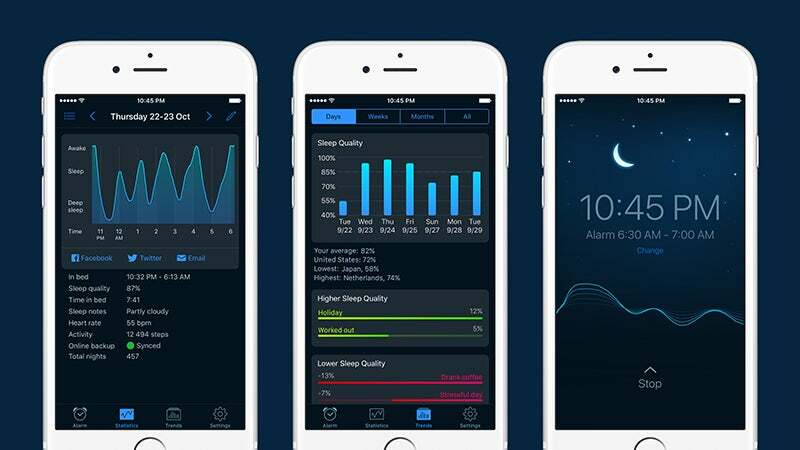 The simplest way to start tracking your sleep is with an app that uses the sensors inside your phone to monitor how well you’re sleeping. 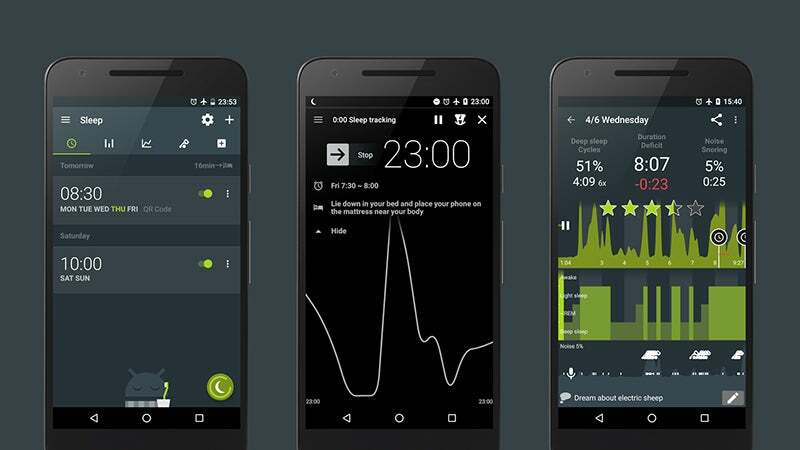 Sleep Cycle is one of the best and most well-established apps that works on both the major platforms, though it’s focused primarily on waking you up at a ‘natural’ time rather than analysing your sleep in detail. Using the movements and sounds you make while you’re asleep, Sleep Cycle works out when you’re in light or deep sleep, and sets an alarm inside a specified 30-minute window to ensure you’re as refreshed as possible when you open your eyes. Among the premium features is an option to monitor how certain daily activities affect the overall quality of your shut-eye. 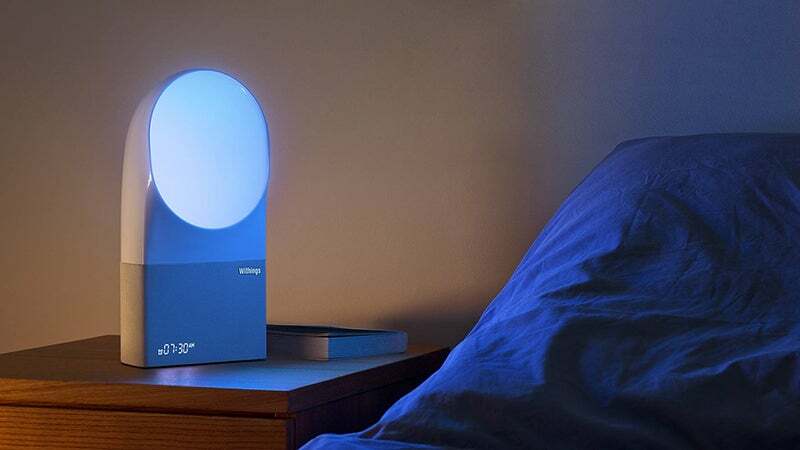 SleepBot follows the same template as Sleep Cycle, with the main feature being a smart alarm that wakes you up at the perfect time for your body’s circadian rhythms. Unlike Sleep Cycle though, SleepBot is completely free to use with no in-app purchases. The Android app is rather out of date, so this is probably only an option for iPhone users. You need to manually start the sleep tracking mode and then the app measures movement and sound while you’re asleep. Using this data it identifies a good time for you to wake up as well as displaying said data for analysis later on. You can also set up a timed ambient noise soundtrack to help you fall asleep more easily in the first place. An app from fitness experts Runtastic that doesn’t require any additional hardware besides your phone (it even works in airplane mode). 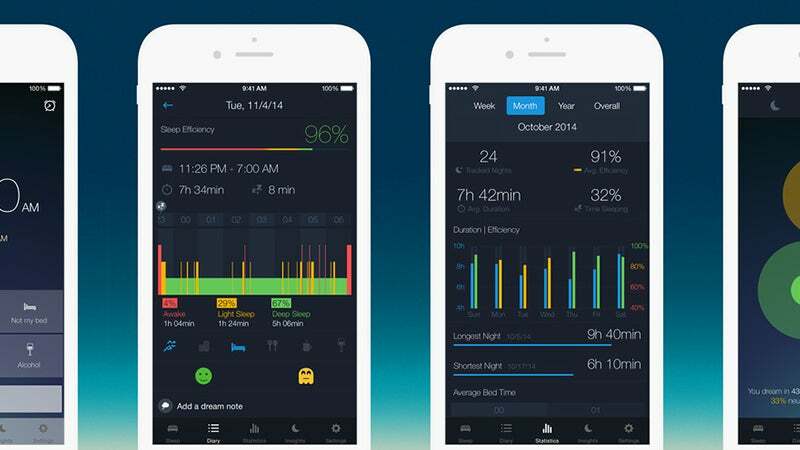 Like the two apps we’ve already mentioned, you put your phone somewhere near your pillow on the mattress, and the Sleep Better app takes care of the rest—it tracks sleep duration, cycles, and efficiency. You can plug in certain variables — such as coffee consumption, exercise, and stress levels — straight into the app to see how they affect your sleep, and like Sleep Cycle and SleepBot, there’s a smart alarm feature that will get you up at the right time. If you pay for the premium version, you can set a window of time for the smart alarm to work within. 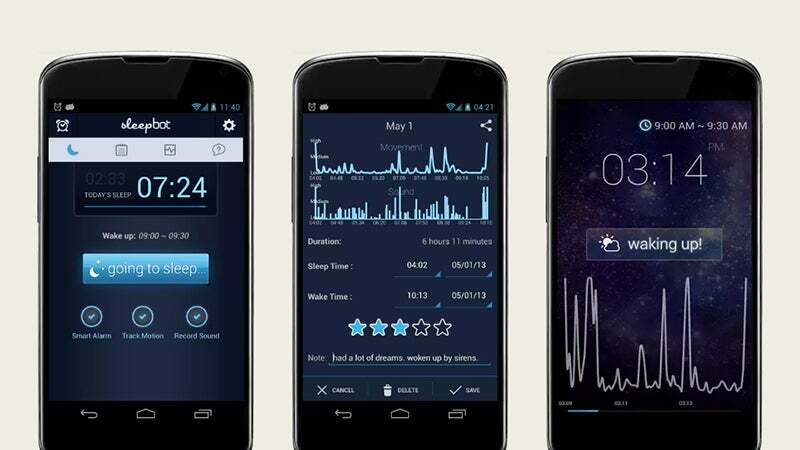 Just for Android users, obviously, but Sleep As Android has earned itself a good reputation for being one of the best sleep-tracking apps out there. If you’ve read the three blurbs above then you know the drill: you place your phone on the mattress, and the app uses the accelerometer on the device to work out how soundly you’re sleeping overnight. Again, you can set a smart alarm that wakes you up when your body is ‘optimised’ for it, and there’s a handy bedtime countdown feature that lets you know when you should be getting ready for bed. There are plenty of extras, like natural sounds to lull you to sleep and optional integration with Pebble, Android Wear, and Samsung smartwatches. 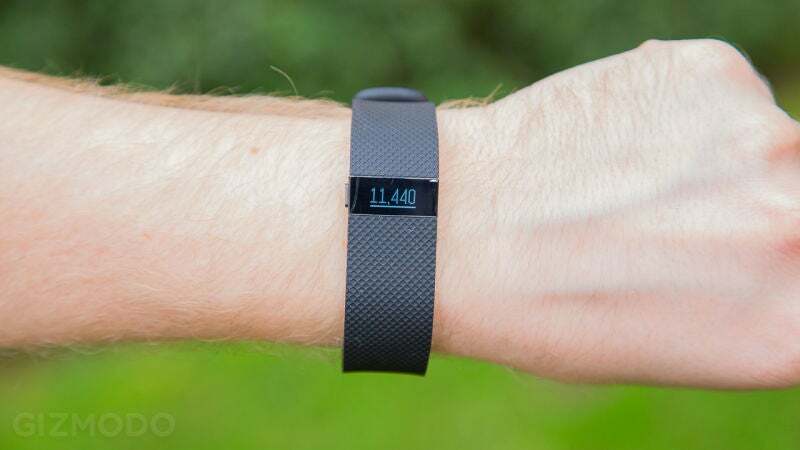 Fitbit has a pile of trackers, watches and other devices on the market, and just about all of them can track your sleep, but for the purposes of this list we’ll focus on two of the newer trackers more suited to wearing in bed. The Charge HR features a small LED display, a buzzing vibration alarm, and a built-in heart rate monitor (as the HR in its name suggests). It’s a recommended choice if you want something that’s going to comprehensively cover the other parts of your day as well as sleeping, specially with that heart rate monitor, and the sleep tracking turns on and off automatically. From the time we’ve spent with a Charge HR, it seems to be as accurate as any other device out there in terms of sleep logging. Of course the Alta comes with the same friendly, intuitive Fitbit app as the Charge HR, and it also has automatic sleep tracking, so what are the differences? Well, it looks a little nicer, it’s a little cheaper, and it cuts out the heart rate monitor while adding a movement reminder feature and the option to show simple phone notifications on your wrist. As with the Charge HR, sleep tracking seems pleasingly accurate whether you’re bedding down for the night or just catching a few winks in the afternoon, and it’s comfortable to wear too (always a bonus if you’ve got it on in bed). A slightly cheaper and more stylish alternative to the Charge HR if you think you can live without heart rate monitoring. Jawbone might not have the market share that Fitbit enjoys but it makes some very decent fitness trackers of its own, and the UP3 is currently the best of the bunch (despite our rather ambivalent review). Sleep tracking needs to be activated manually but you do get sets of statistics and analysis that’s arguably better than those that Fitbit provide. Like the Charge HR, the UP3 has a heart rate monitor that gives extra insight into how well or otherwise your times of slumber are going, and the Jawbone app also gives plenty of advice and tips on how to make improvements to the quality of your sleep. 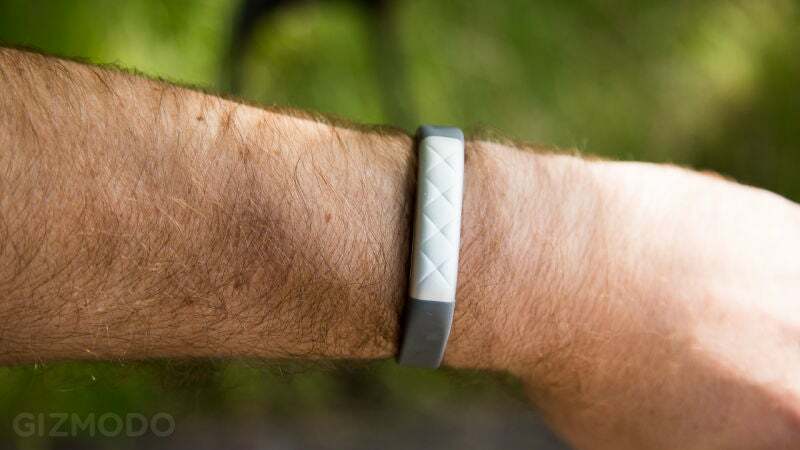 Jawbone splits sleep into three stages (light, deep and REM) as opposed to Fitbit’s two (light and deep). 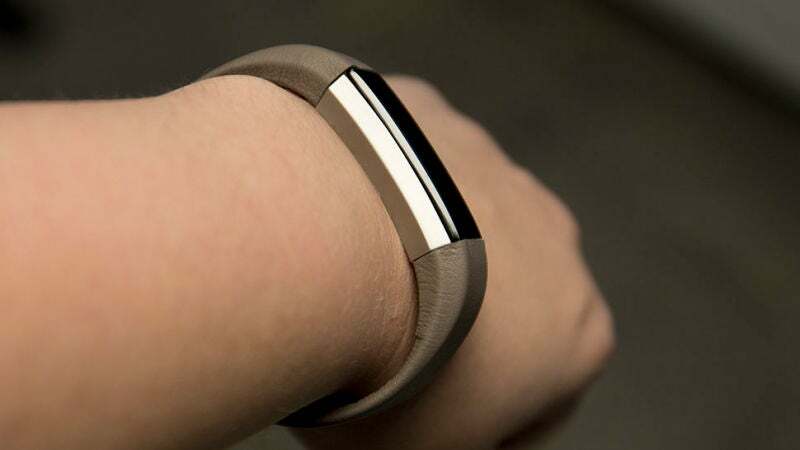 You can wear the Shine on your wrist, clipped to your clothing, or anywhere you like. As well as counting your steps during the day it can track your sleeping at night. It’s water resistant up to 50 metres and because it’s powered by a watch battery you never have to recharge it (you just replace the battery with a new one after six months or so). Of course a tracker is only as good as the app that comes along with it and the Shine ticks all the boxes in that regard. Sleep tracking is automatic and you get a decent amount of nighttime statistics that tie in well with the rest of your fitness data. Sleep time is divided into light and restful, and there’s an integrated vibration alarm feature too. If you want to go one level up with standard fitness and sleep trackers you wear on your wrist then Sense is it. There’s a cylindrical sensor you put on your nightstand to check temperature, air quality, noise, and more, and a small clip-on sensor that fixes to your pillow to automatically detect when you go to sleep and how restless you are during it. The obvious advantage is you don’t have to wear a gadget of any kind or push a button when you go to sleep and wake up. Having tested Sense, the sleep monitoring seems pretty spot on, and the extras such as environment monitoring, smart alarms, and personalised insights make it one for the more serious sleep trackers among you. Withings makes a bunch of smartwatches and trackers that are worth checking out, but here we’re going to focus on the Aura lamp. Like the Sense, it monitors conditions in your bedroom, so you can work out what might be affecting your sleep. When the morning comes, it’s able to wake you up with light that mimics the natural rising of the Sun. 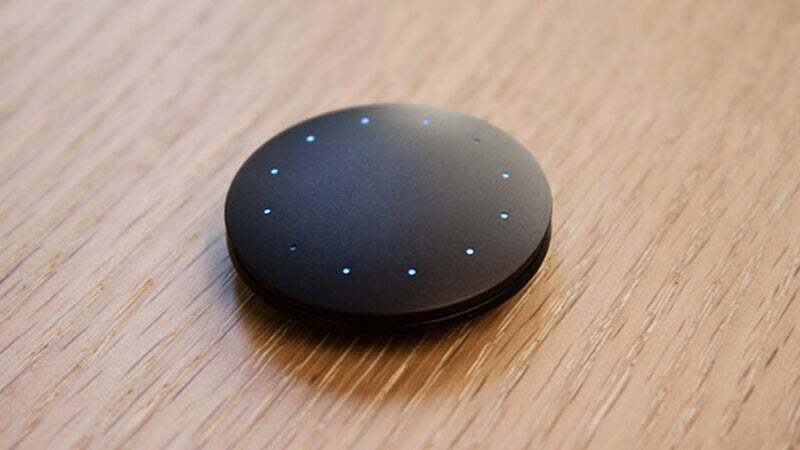 You could combine the Aura with any sleep tracker you like, Withings or otherwise, but the company does sell an official sleep accessory to go with the Aura; it straps to your mattress and uses your restlessness and movements to judge if you’re getting a good or bad night’s sleep. All your data syncs to the very competent WIthings mobile apps. Like the Withings Aura sleep accessory, Beddit straps to your mattress, and like the Sense bauble, it frees you from having to wear any kind of wearable in bed. We’ve spent a few nights with the Beddit (now actually owned by Misfit) and found it to be very accurate at monitoring sleep duration and quality (although it’s difficult to verify in the latter case). It’s hard to grumble about the quality of the Beddit apps for Android and iOS, which are very nicely put together, and overall it’s refreshing to have a sleep tracking device that you don’t need to activate, wear or even charge (it plugs straight into the mains). 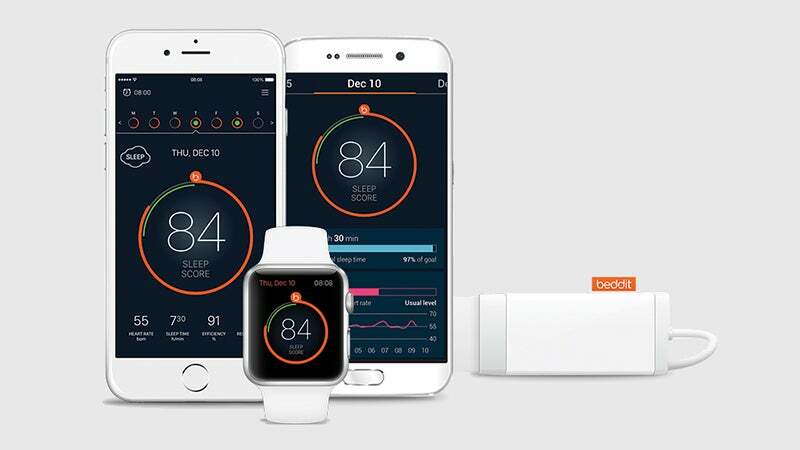 Beddit can even measure your snoring, but maybe you don’t want to know very much about that. Last but definitely not least is Eight, an entire mattress cover designed to track your sleep and make sure you have the best possible chance of a good night’s rest every time your head hits the pillow. Unfortunately, it’s not out yet, but you can put your name (and some cash) down for a pre-order, with the initial shipping run expected for October this year. Of course that means we don’t know how good it is yet, but Eight is promising to work with a host of other devices (from smartwatches to smart lights) to bring you the most detailed breakdown of your sleep patterns yet. It’s promising to track temperature, breathing rate, humidity, heart rate, and light levels as well as all the usual variables.